Oh my goodness!! 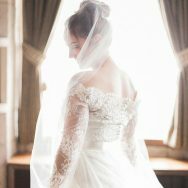 Today, I’m in absolute heaven and SOOO excited to share this wedding inspiration shoot with you. 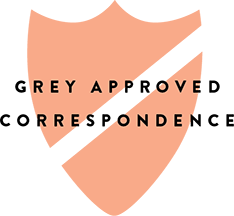 First off, as fabulous luck would have it, this shoot involves three (yes THREE) of our Grey Likes Vendors! 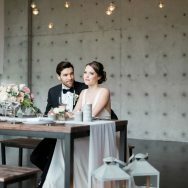 The ever talented Kristeen LaBrot Events put together this gorgeous gorgeous shoot, while Krista Mason is responsible for such beautiful images. On top of all that, the ruffled cake is by Andrea of Superfine Bakery (yet another Grey Likes Vendor!) who has an insanely innovative and modern approach to designing cakes. I’m telling you…these gals are fabulous at what they do, and this shoot is a testament to that! There are tons more great resources and vendors involved, so check out all the credits below! 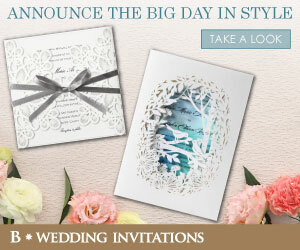 Now feast your eyes on some modern glam inspiration that I’m dying to see used for a real wedding! Ombre cake?! Yes, please! I love that table cover/drapery. Mmm. Very nice! I love the black feathers and anemone is one of my favorites. The shoot is really modern yet feminine. Love it! What a gorgeous ombre cake! 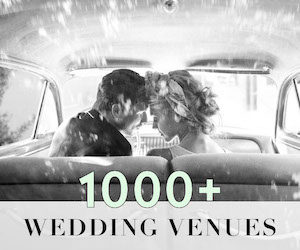 This black and white inspiration is so glamorous and romantic! I love her beautiful flowing dress and anemone flowers are my newest favorite inspiration. Ok, seriously. Black and white is my favourite combination. This shoot is killing me over here. 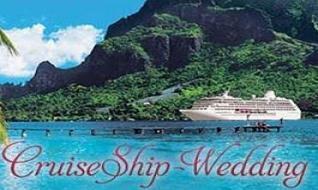 If I ever get married this is totally it. 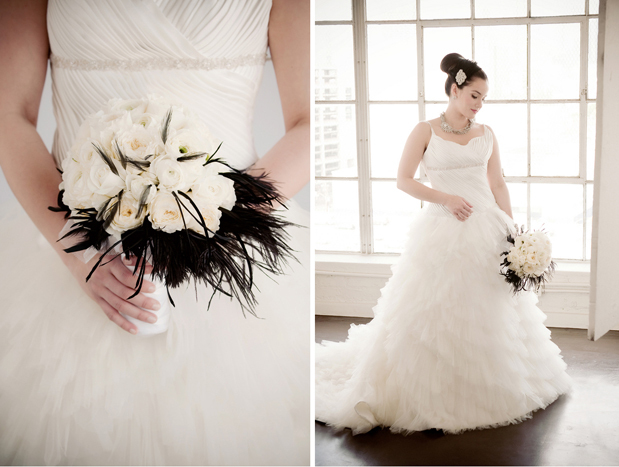 Black and white, plus feathers, ruffles and some sparkle. Love it! 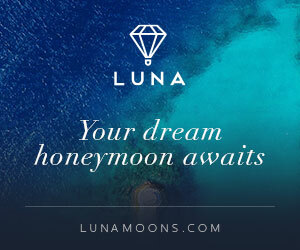 We're honored to have our shoot featured on your site! Our entire team of vendors was just amazing. Wowzers, jaw dropping! That cake is amazing, that table cloth... incredible! wowweee, the bride & dress (& groom too!) were made for each other! WOW! I'm so impressed! What a lovely setting and even more, what a lovely couple! Who is he? So handsome and the girl? A true beauty! Love this wedding. So glam!!! Love the menu! And love the calligraphy. Great palette. Simple and sophisticated. Gorgeous. Extraordinary!! That cake and cascading linens on the cake table are to.die.for!!! Gorrrrrgeous!! Love the menu and the cake. And the color scheme, of course! Love everything about this photo shoot. Dress is gorgeous, make up is beautiful, and perfect models. Wow! 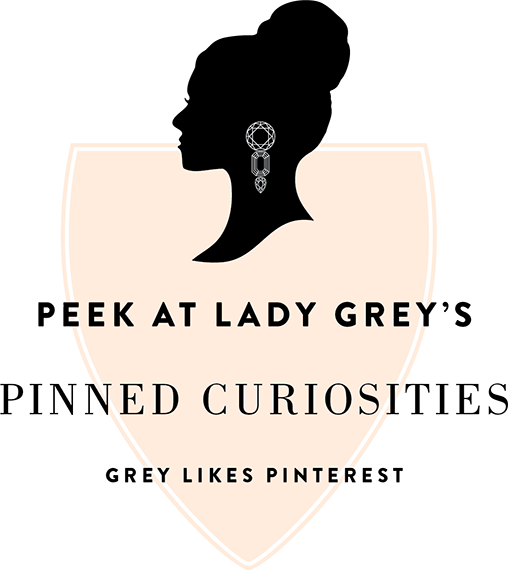 :) It feels so great to see that our shoot has been featured on Grey!! <3 Thank you thank you and I am glad everyone is enjoying it! I love this look! And those shoes...Prada, where do you find them? They look like the perfect pair of shoes. Gorgeous, gorgeous, gorgeous! The ruffle cake is amazing!!! Absolutely love this theme! So sophisticated and elegant! Love the cake and the flowers, gorgeous! Amazing close up of the bride!!! Perfect Spring flowers and such a beautiful wedding!! @Natalia - she purchased those shoes from Nordstrom! They were insanely gorgeous! This was such a fun shoot with amazingly talented vendors. 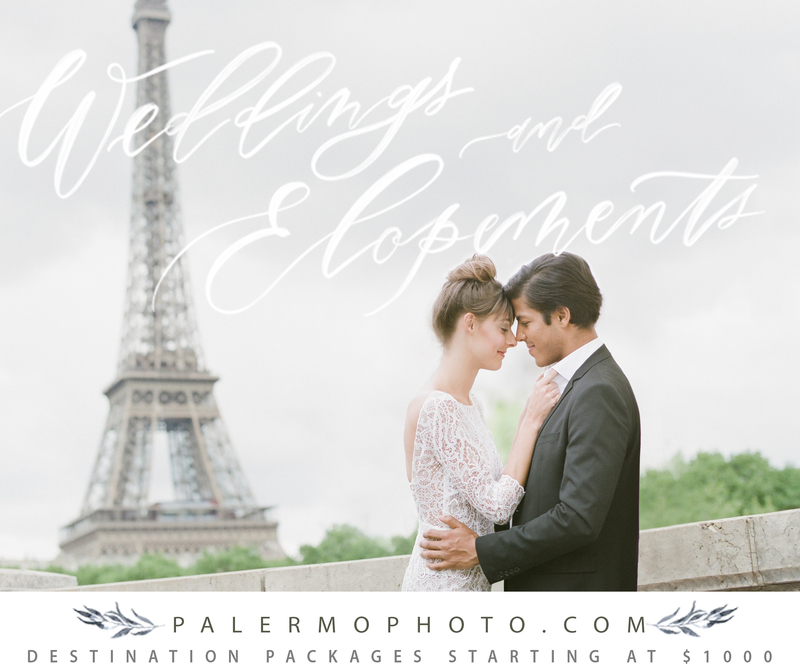 I'm so excited that our shoot is featured & that it's getting so much Luv! That cake table needs to make it into my home somehow - bedroom side table? Entry way table? Bathroom? It would be so fun in any room! Such a gorgeous wedding! 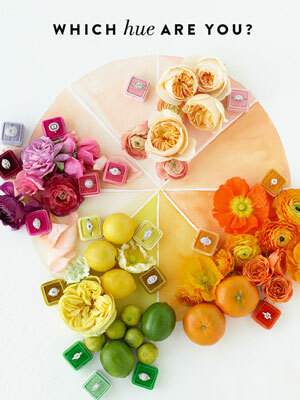 love it all, especially the ombre cake! Oh my gosh! I honestly thing this is the most gorgeous wedding I have ever seen. So sleek and stunning! 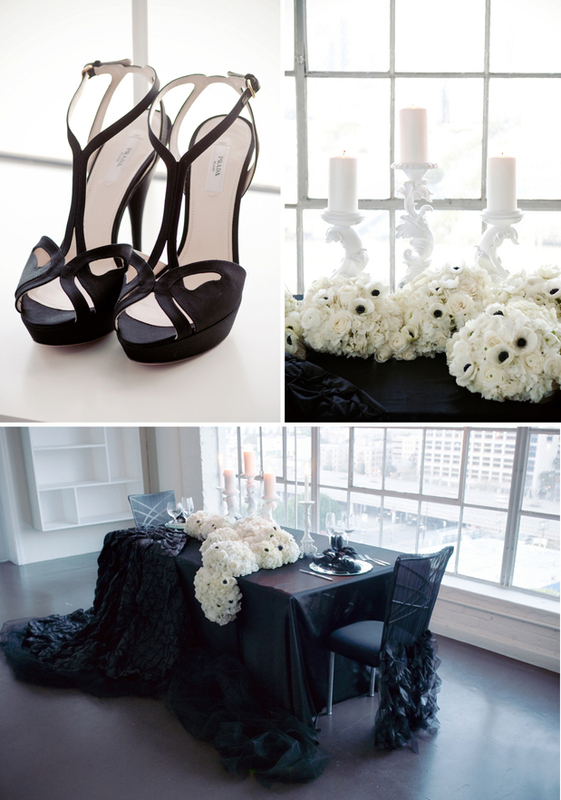 For a modern-glam with black details shoot, it's absoulutely dreamy!!! 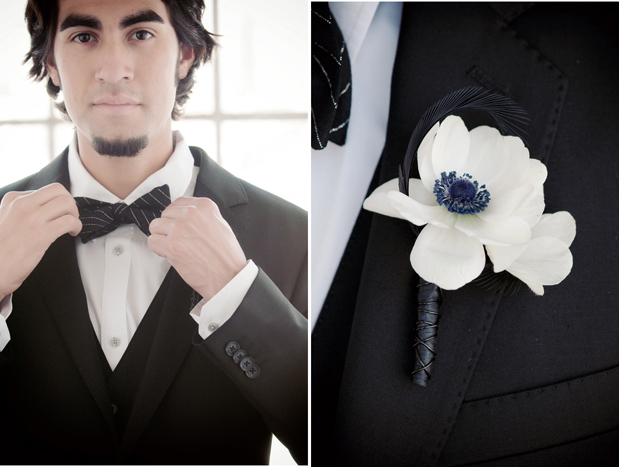 I love the black and white details of this wedding! Simple and elegant.. It's just fabulous each and every thing.Great choice the necklace is looking amazing and the brooch its just beautiful the model is looking pretty wearing all these. Lovely pics! I absolutely adore the brides necklace.